Excessive Consumption Of Meat Or Processed Meat May Damage This Organ! 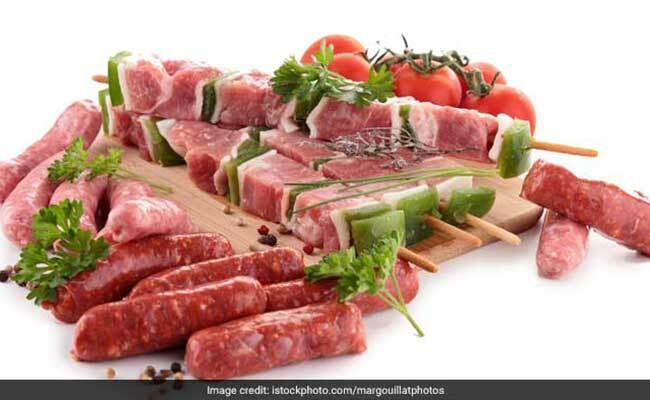 According to a study published in the journal of Hepatology, increased consumption of meat or processed meat may increase the chances of developing non-alcoholic fatty liver disease (NAFLD). NAFLD is considered as the hepatic component of the metabolic syndrome, with insulin resistance and inflammation as key factors in the pathophysiology. According to the researchers, high meat eaters were slightly younger, mainly male, had a higher body mass index, caloric intake and a worse metabolic profile. Individuals who consumed large quantities of meat cooked using unhealthy methods including frying or grilling had increased levels of high heterocyclic amines (HCA), which are the pro-inflammatory compounds, found in burned meat; therefore developed insulin resistance. The study that had evaluated 357 participants, also mentioned that people who are already diagnosed with NAFLD had similar consequences, along with an increased risk of developing cancer, type-2 diabetes and chronic heart diseases. As per the researchers, it is also the unhealthy lifestyle that plays a major role in the development of NAFLD. NAFLD and insulin resistance were evaluated by ultrasonography and homeostasis model assessment (HOMA). Meat type and cooking methods were measured by food frequency and detailed meat consumption questionnaires. Results concluded that NAFLD was diagnosed in 38.7 percent of participants and insulin resistance in 30.5 percent. Here's how you can take care of your liver naturally. Add these foods that may help. Garlic contains sulphur compounds that are important for supporting the liver function. It also consists of selenium that is an important mineral that help in detoxifying liver. Turmeric maintains a healthy liver by regenerating healthy cells. It also helps with the production of bile and improves overall functioning of the gall-bladder, which is another blood-purifying organ. Green tea has catechins that are known to assist liver function and flush out toxins. Sip two to three cups of green tea and ensure a healthy liver. Walnuts are a rich source of amino acid known as arginine that supports liver cleansing. Ensure that you munch on this liver-friendly nut.